we recorded our third and final live podcast on fountain before, during and after the usa v belgium game. 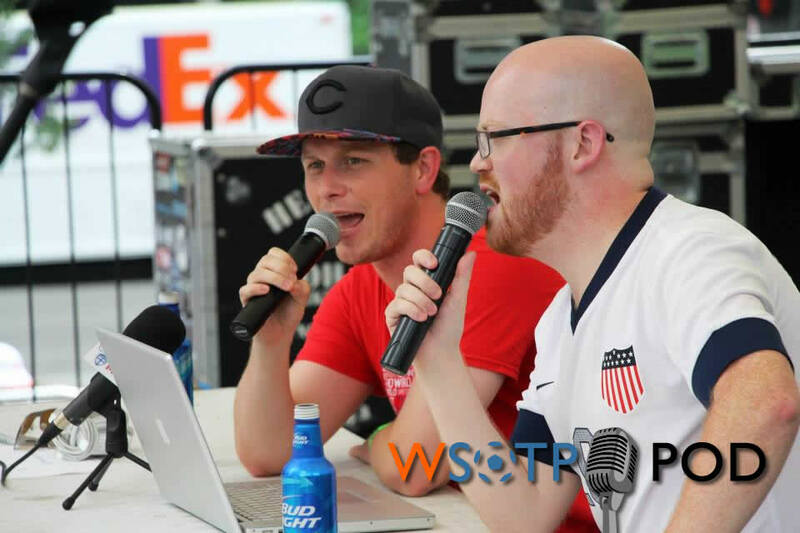 Well, it wasn’t the result we had all hoped for, but the US loss to Belgium in the Round of 16 of the 2014 World Cup still managed to provide a great backdrop for our third and final live podcast recorded down on Cincinnati’s Fountain Square. Jeremy returned to rejoin D.J. after being out of action the last time out, and he also takes the reigns for the in-studio portions of the pod answering questions and talking about how fans new to the game can pick a team to follow for the upcoming Premier League season. On the live portion, we also get to hear Cincinnati Saints president and CEO David Satterwhite rejoin us on the podcast to talk about the events on the Square. And two other added bonuses: the audio this time around is at least marginally better and there were no hecklers this time either… hooray! On a personal note, it was an absolute thrill to get to talk soccer in front of crowds of 4000 to 8000 at each of the events down on Fountain Square. Many thanks to the Cincinnati Saints, Hoist and 3CDC for allowing us the opportunity to MC the events and spread the word about the podcast. If you’re new to the podcast, we’ll be back again weekly in just a few weeks’ time before the European seasons get rolling. So be sure to hit the links below to subscribe to the podcast on your computer or mobile device to listen in when we return on a regular basis.